Book Richard Petty Driving Experience TODAY and SAVE. Richard Petty Driving Experience- The King of NASCAR Driving Experiences! Real NASCAR Race Cars. Drive By Yourself. Passing is Allowed. In Car Radio Communications. Personal Spotters. Attend Driver's Meeting with Crew Chief. Nationwide Locations. The True NASCAR Driving Experience. 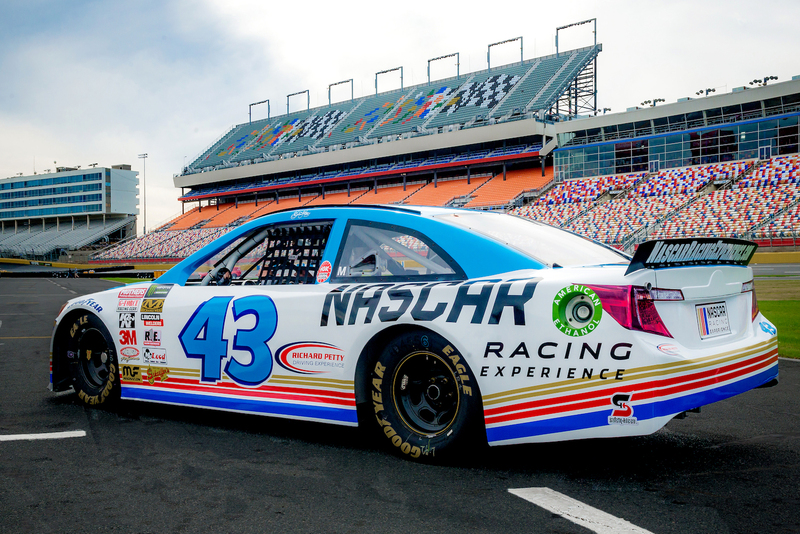 Richard Petty Driving Experience- Drive a NASCAR Race Car at Richard Petty Driving Experience! Welcome to Richard Petty Driving Experience, Authentic NASCAR Entertainment. We put YOU in the drivers seat of a NASCAR race car that you can drive by yourself! This NASCAR Experience offered at Richard Petty Driving Experience will be the most authentic NASCAR driving experience or racing school you’ve ever attend. 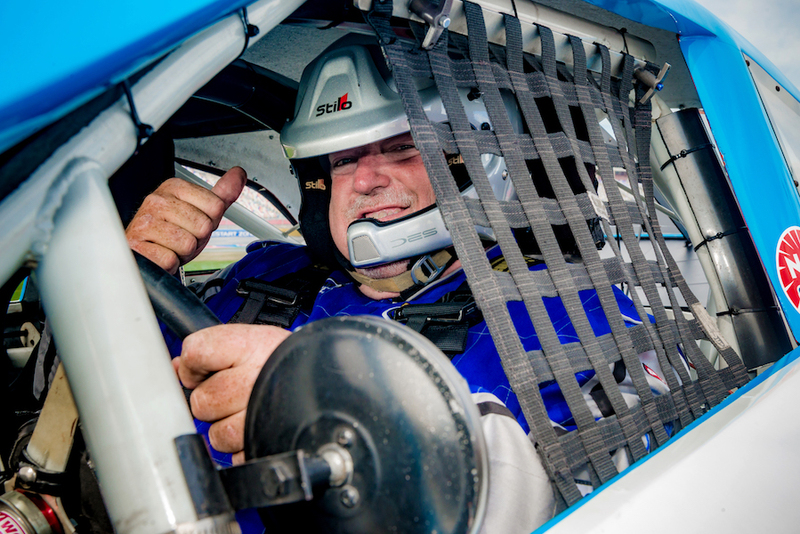 And driving Experiences at Richard Petty Driving Experience are offered at 18 of the nation’s premier speedways. Driving Experiences are at Atlanta Motor Speedway, Auto Club Speedway CA, Charlotte Motor Speedway, Chicagoland Speedway, Dover International Raceway, Homestead Miami Speedway, Kentucky Motor Speedway, Myrtle Beach Speedway SC, Michigan International Speedway, New Hampshire Motor Speedway, Phoenix International Raceway, Richmond International Raceway, Talladega Superspeedway AL, Texas Motor Speedway, Daytona International Speedway, Kansas Speedway, Indianapolis Motor Speedway and Las Vegas Motor Speedway! 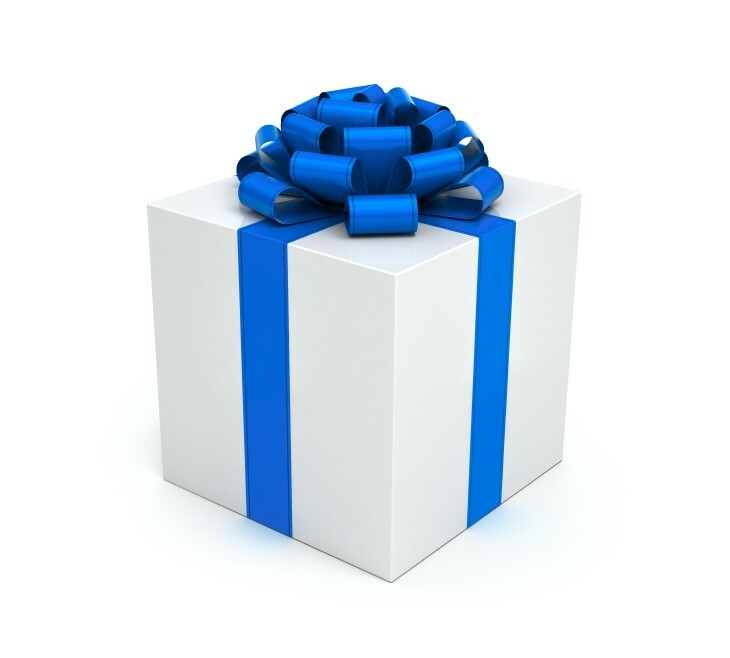 Richard Petty Driving Experience offers E-Gift Cards do not expire and are good for any of the locations or you can make a reservation to secure your once in a lifetime driving experience. Don’t want to drive a race car? NASCAR Ride Alongs are available for those who want to ride and not drive. Make your dream a reality today and sign up for Richard Petty Driving Experience, an authentic NASCAR experience! Celebrate the Daytona 500 and beginning of race season with a Sale! NASCAR Racing Experience offers a NASCAR driving experience like no other driving experience. Because NASCAR Racing Experience is not the Richard Petty driving experience or Dale Jarret Racing Experience you will see a huge difference. NASCAR Racing Experience is the true NASCAR driving experience that offers real NASCAR race cars that have been driven by NASCAR drivers including Jeff Gordon, Jimmie Johnson and other NASCAR superstars. Richard Petty driving experience was where it started, NASCAR Racing Experience is where it is today. NASCAR has been around for decades including the Daytona 500 race with drivers like Benny Parsons, Richard Petty, Tim Richmond and many others. NASCAR Racing Experience is built on NASCAR experiences making dreams a reality every day. In conclusion its time to make your dream a reality. Drive a Race Car! Do a Driving Experience. Take a NASCAR Ride Along! Buy NASCAR Driving Experience! Do the Richard Petty Driving Experience! Driving Experiences in NASCAR race cars. 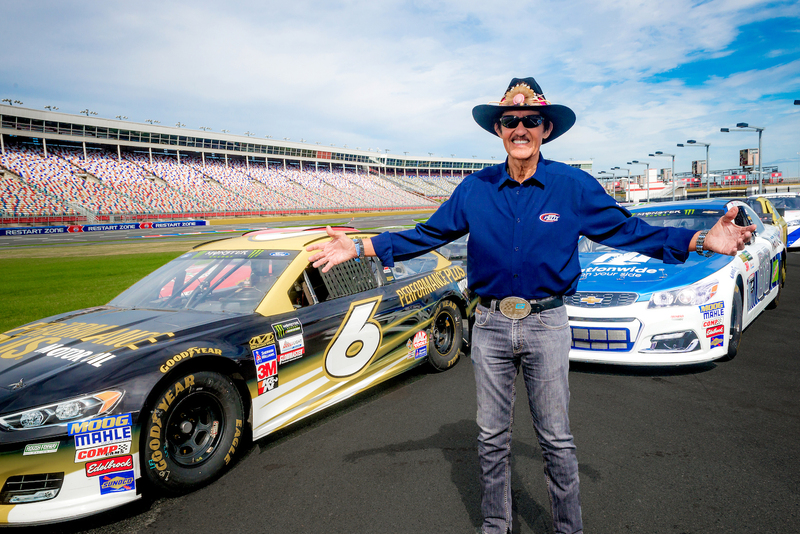 Richard Petty Driving Experience- Book Now! Welcome to Richard Petty Driving Experience and NASCAR Racing Experience, the true NASCAR Experience. We put YOU in the drivers seat of a real NASCAR race car that’s come straight from the NASCAR teams. You drive a real NASCAR race car by yourself at NASCAR Racing Experience. This NASCAR Experience will be the most authentic driving experience or racing school you’ve ever attend. NASCAR Driving Experience is offered at 18 of the nation’s premier speedways including Atlanta Motor Speedway, Auto Club Speedway CA, Charlotte Motor Speedway, Chicagoland Speedway, Dover International Raceway, Las Vegas Motor Speedway, Daytona International Raceway, Kansas Motor Speedway, Indianapolis Motor Speedway, Homestead Miami Speedway, Kentucky Motor Speedway, Myrtle Beach Speedway SC, Michigan International Speedway, New Hampshire Motor Speedway, Phoenix International Raceway, Richmond International Raceway, Talladega Superspeedway AL, and Texas Motor Speedway. NASCAR Racing Experience offers E-Gift Cards that NEVER expire and are good at any of the locations or you can make a reservation to secure your once in a lifetime driving experience. Don’t want to drive a race car? NASCAR Ride Alongs are available for those who want to ride and not drive. Make your dream a reality today and sign up for Richard Petty Driving Experience. 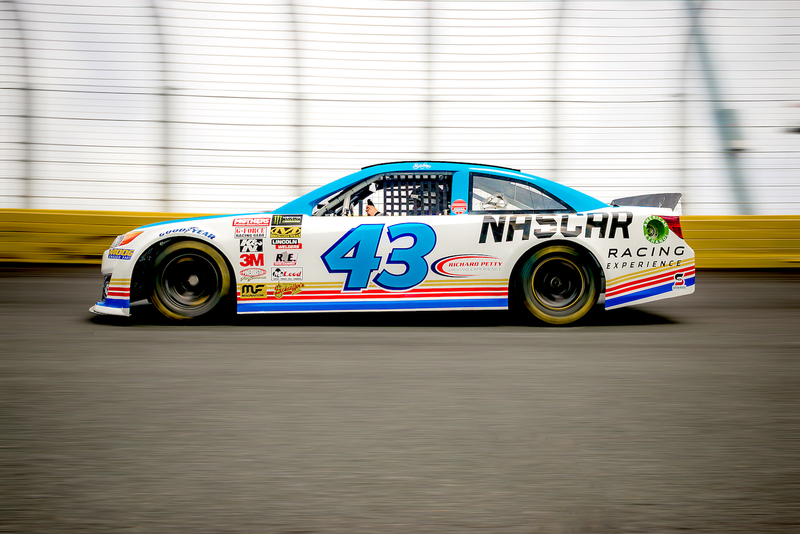 Make a reservation and drive a NASCAR Race Car at Richard Petty Driving Experience! Take a NASCAR Ride Along! Buy NASCAR Driving Experience! Do the Richard Petty NASCAR Racing Experience! NASCAR Driving Experience.